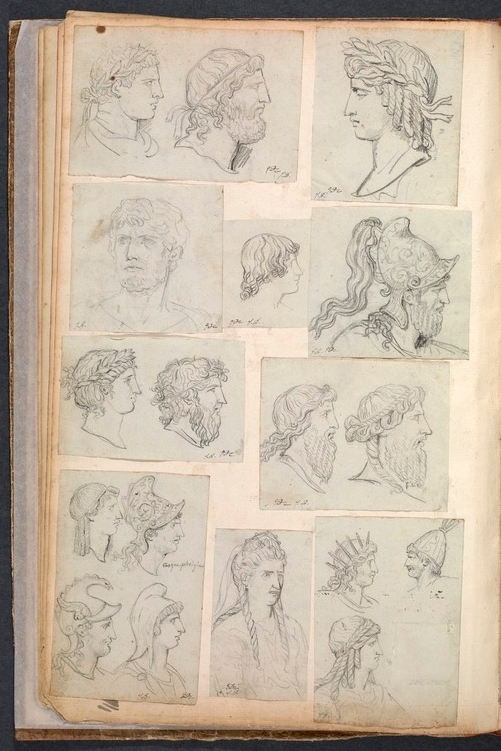 Selections from “Album 11”, a sketchbook belonging to the French neoclassical painter and revolutionary Jacques-Louis David. 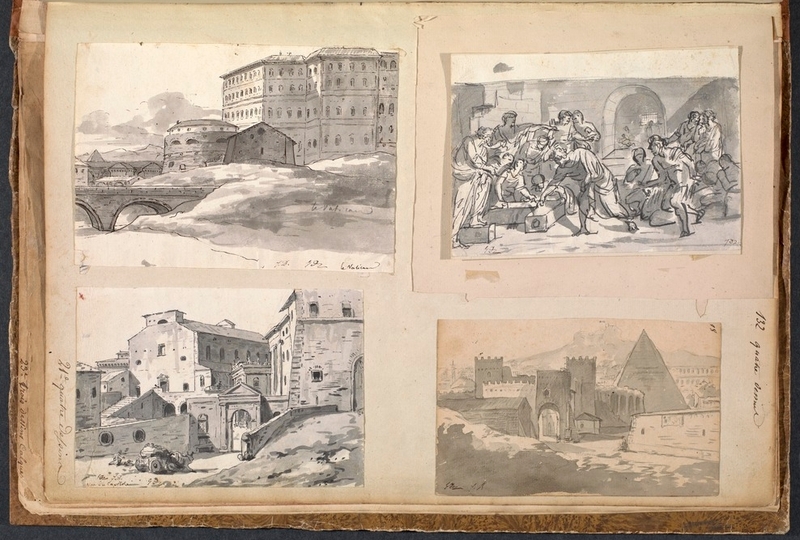 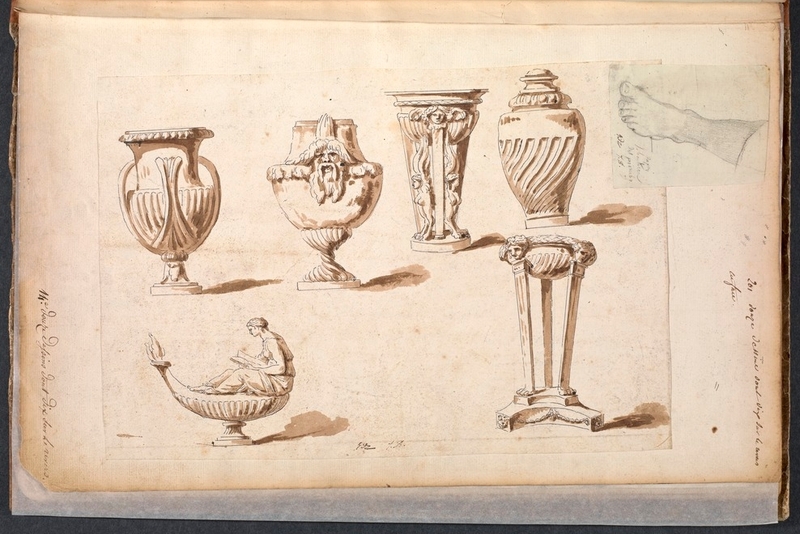 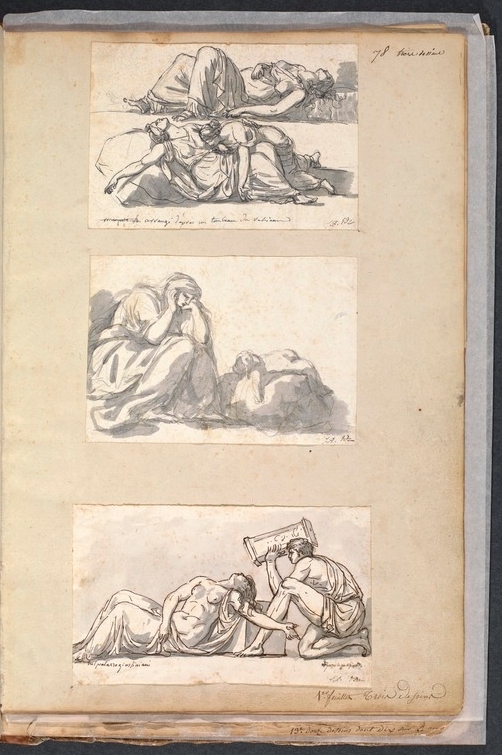 The sketches are from his student years in Rome in the 1770s, a time in which he became obsessed with the ancient and Renaissance art to be found in the city. 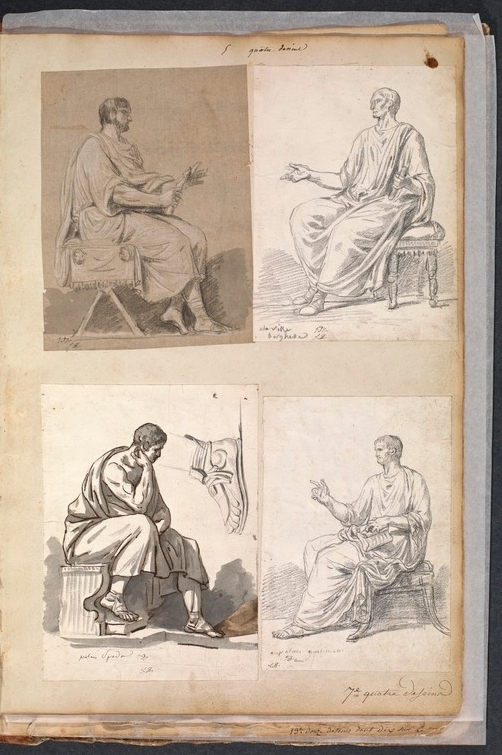 During this period he made well over 1000 “Roman sketches” and relied on them as a visual resource throughout his career. 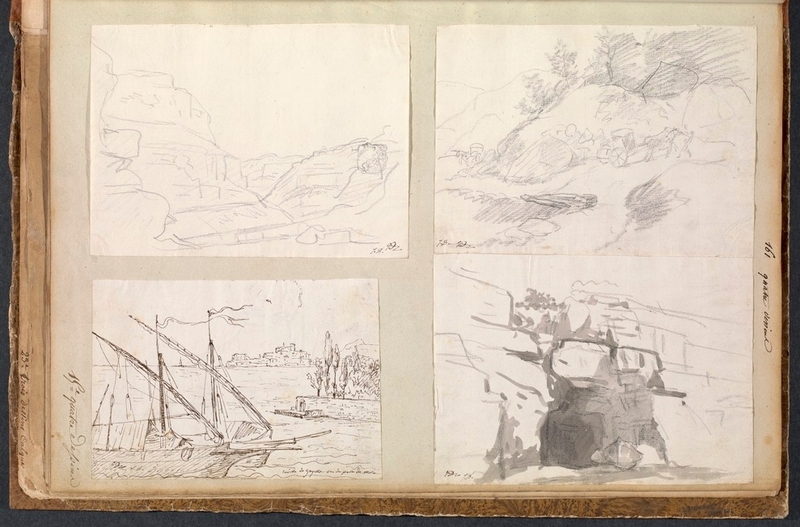 Once returned to Paris, David dismantled his sketchbooks and reorganised the leaves into albums according to type, numbering 12 in total. 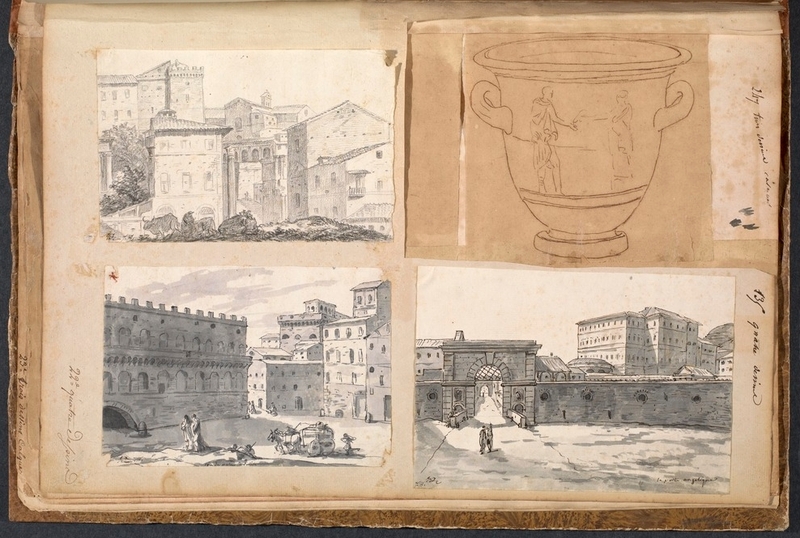 This 11th album – held by the Getty Research Institute and included in The Getty’s Open Content program – is mainly concerned with studies of the bas-reliefs and sculptures from prominent Italian collections, including the ancient Roman paintings unearthed in Pompeii and Herculaneum. 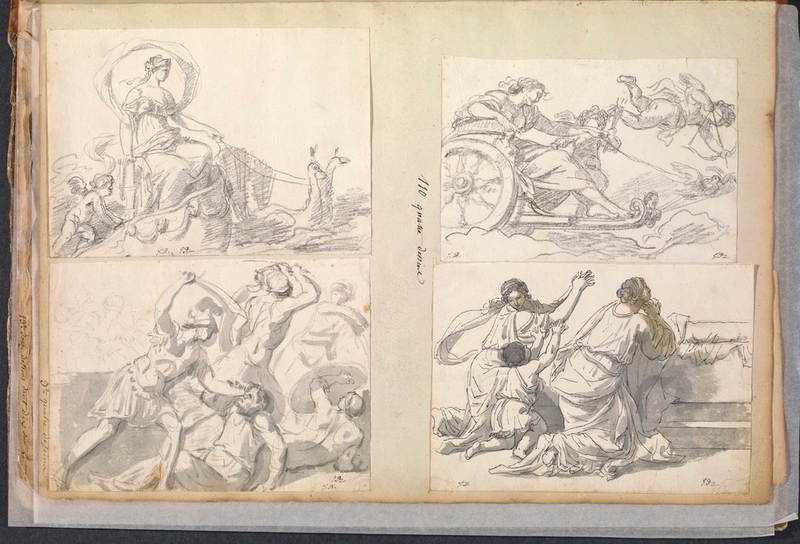 David was arguably the most influential European artist of the late 18th century, his thoughtful style of “history painting” marking a change in the moral climate at a crucial time in European history: the end of the Ancien Regime and birth of the French Revolution. 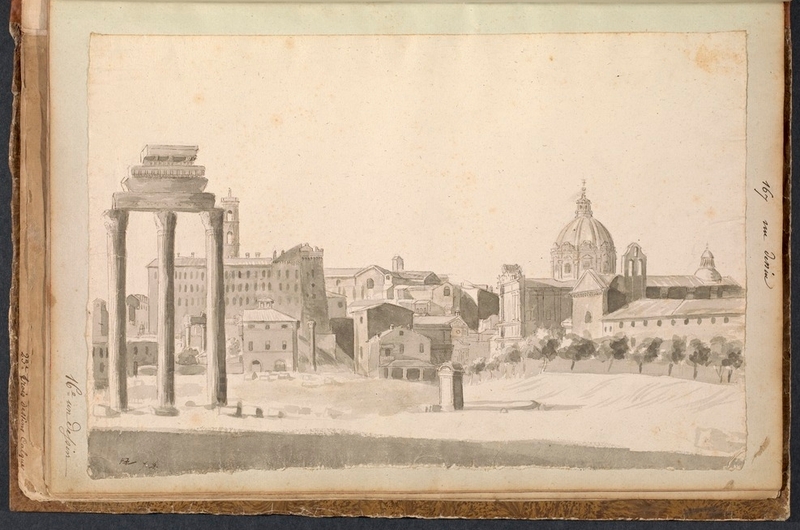 David, a close friend of the revolutionary leader Maximilien Robespierre, was an active supporter of the French Revolution (he voted for the execution of Louis XVI in the National Convention) and became effectively a dictator of the arts under the French Republic. 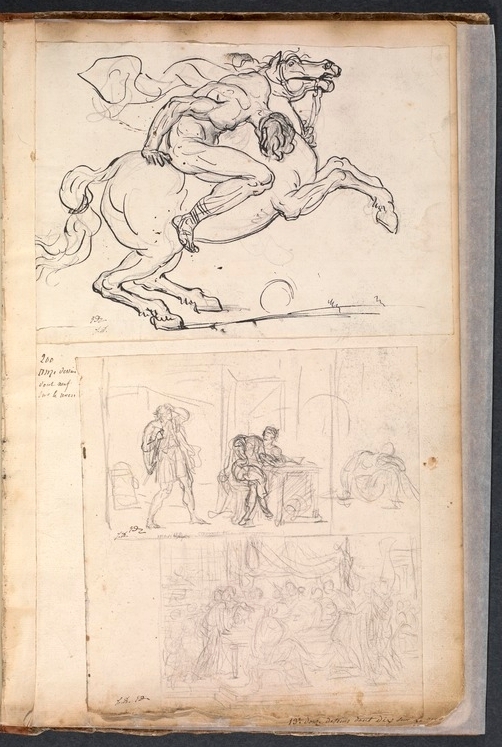 After Robespierre’s fall from power, David was imprisoned and upon his release he aligned himself with yet another political regime, that of Napoleon I, a support which gave birth to one of the most famous portraits of “The Little Corporal” – Napoleon at the Saint-Bernard Pass – in which the military leader is depicted in heroic posture upon a rearing horse.